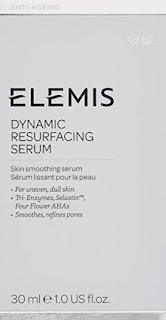 KadoKadoKu | Best Shopping Online : ELEMIS Dynamic Resurfacing Serum, Skin Smoothing Serum, 1.0 fl. oz. 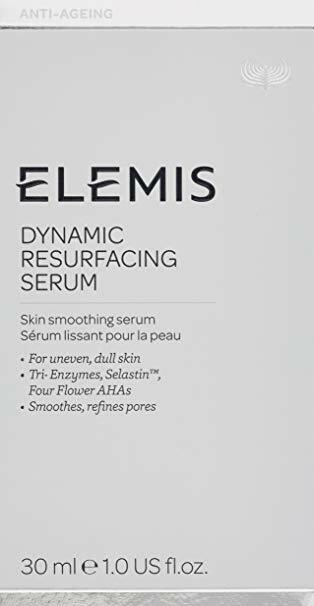 ELEMIS Dynamic Resurfacing Serum, Skin Smoothing Serum, 1.0 fl. oz. 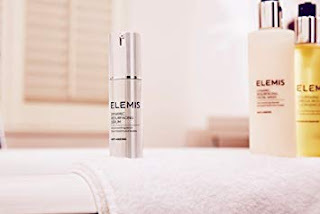 This clinically proven serum smoothes the skin’s surface to reveal a stunning complexion, whilst helping to reduce the appearance of pores and wrinkles. Patented tri-enzyme technology (gb2440117), gently and effectively resurfaces the skin’s upper layers. The unique synergy of four flower ahas from hibiscus, white lily, gardenia tiare and freesia optimise the non-abrasive resurfacing action. Mineral and vitamin-rich selastin™ has been shown to reduce the size of pores whilst anti-oxidant rich encapsulated vitamin c and amino acids help to even skin tone and support the natural microflora of the skin, without upsetting the ph balance. Skin appears renewed and smooth. This resurfacing serum smoothes the skin’s surface to reveal a stunning complexion, whilst helping to reduce the appearance of pores and wrinkles. Patented Tri-Enzyme technology, gently and effectively resurfaces the skin’s upper layers. The unique synergy of four flower AHAs from Hibiscus, White Lily, Gardenia Tiare and Freesia optimise the non-abrasive resurfacing action. Mineral and vitamin-rich Selastin has been shown to reduce the size of pores whilst anti-oxidant rich encapsulated Vitamin C and Amino Acids help to even skin tone and support the natural microflora of the skin, without upsetting the pH balance. Skin appears renewed and smooth. Helps to reduce appearance of pores and wrinkles. I came across this product on a cruise trip. This product works like a charm! The only drawback is the price point. The quantity is very little for the amount you pay. Mine lasted for 3 months! However, I bought it again. I feel in love with the product. I only hope they either decrease the price or increase the quantity!